The technology consultancy firm Combitech has reached an agreement to acquire a majority stake in the Norwegian cyber security company, Watchcom. Through this acquisition, Combitech will strengthen its position as a forerunner in the Cyber Security sector in the Nordic region and will expand its operations in Norway. Combitech, an independent subsidiary of the defence and security group Saab, has become majority shareholder in the Norwegian company, Watchcom Security Group AS, thanks to the acquisition of 51.11 % of the company's shares. An option to acquire the remainder of the shares during the coming two years is included in the agreement. Watchcom is a Norwegian supplier of consultancy services within Cyber Security. The company is based in Oslo and has 28 employees. Watchcom is also the driving force behind Paranoia, one of the Nordic region's largest security events, attracting hundreds of participants and attendees. 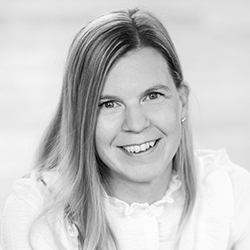 "This acquisition fits perfectly into our established strategy of expansion in the Nordic region and reinforcing our position as a leader within Cyber Security in the Nordics. Watchcom has a good reputation as supplier, with undoubted expertise in, to name but a few areas, security monitoring, security awareness, security testing and training, which will strengthen Combitech's offering and thus our customers. Together we will serve as a strong Nordic operator with a comprehensive offering within Cyber Security and with the capacity to supply to large private and public customers across the Nordic Region. We are also looking forward to bringing Paranoia to Sweden and to engage in the further development of this event together with Watchcom," says Hans Torin, CEO of Combitech. "I firmly believe that with Combitech as new majority shareholder, new avenues of opportunity will open up for Watchcom. The change in ownership will give us a greater ability to flex our muscles on the Nordic market and will provide us with the backing to develop and improve our offering. It will also enable us to better support our Norwegian customers with the cutting-edge competence of Combitech in Sweden and Finland," says Fred Habberstad, CEO of Watchcom. Watchcom Security Group AS will initially continue to operate under the Watchcom brand name, and will be strengthened with Cyber Security consultants from Combitech in Norway. Focus will be concentrated on Security Awareness, Managed Security Services and offering training exercises within both technology and management. Together, Watchcom and Combitech can also provide the Nordic region's most powerful capacity in penetration testing. Combitech will retain its subsidiary Combitech AS, which offers, among other things, services within mechanical construction. Following the acquisition, Combitech now has just over 1,800 employees across the Nordics, of which around 220 are consultants specialising in Cyber Security.